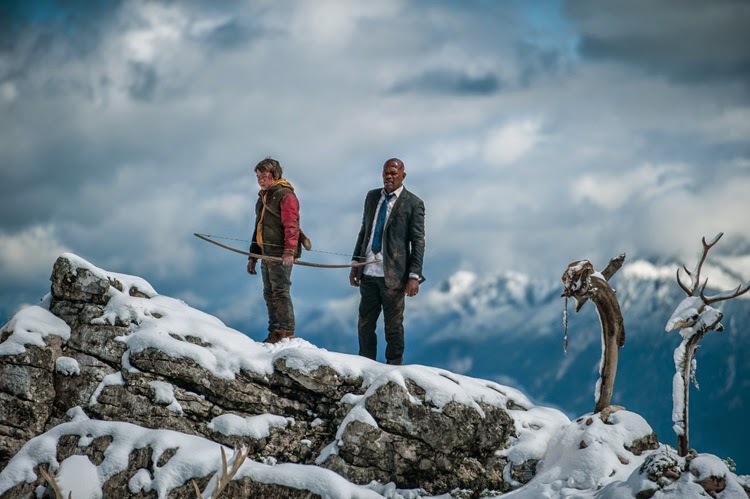 A president’s life is under the protection of a 13-year-old village boy in the latest big-budget action film “Big Game” starring Samuel L. Jackson, Onni Tommila, Ray Stevenson and Ted Levine directed by Jalmari Helander. In the tradition of worldwide blockbuster films about the president at the center of terrorists’ target such as “Air Force One,” “Big Game” introduces us to a young boy named Oskari (Tommila) who anxiously awaits his fate according to their family’s tradition until one fateful day that he has to face his most daunting challenge yet. Oskari, a timid teenager, has come to spend one day and one night alone in the wilderness as dictated by their family’s tradition. Like his forefathers, armed with only a bow and arrow, he must return with a prize to prove himself a man. Terrified and alone, he wanders through a vast and unforgiving forest when suddenly, he hears a deafening rumble. Racing to investigate, Oskari discovers an escape pod. Not just any escape pod – this pod belongs to Air Force One and the battered and bruised man lying before him is the President (Jackson) of the United States. In the skies above, terrorists are hurtling their way to the crash site, hell-bent on kidnapping the President. Now, the fate of the most powerful man in the world lies in the hands of Oskari. Plunged into a deadly game of cat and mouse, with only hours to spare, Oskari and the President must team up to survive the most extraordinary night of their lives. 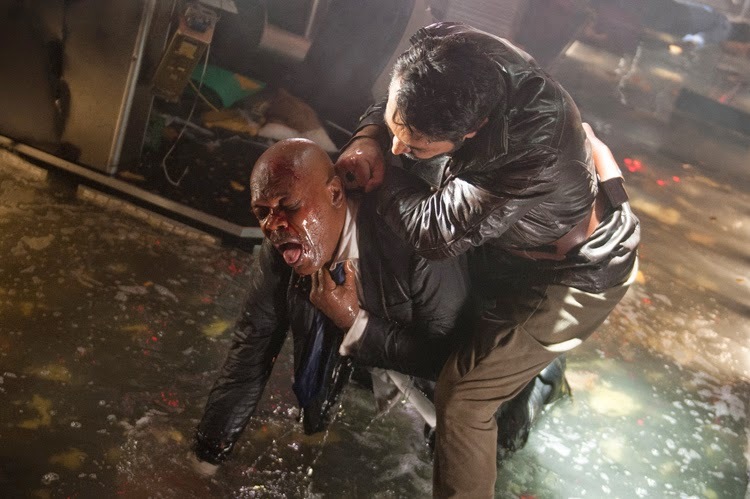 Director and writer Jalmari Helander first came to international attention with his quirky Father Christma s-based Finnish fold adventure “Rare Exports,” but has always loved action movies. With “Big Game,” his idea was to create a high-octane romp that would provide the visceral thrill of high-concept genre entries like “Die Hard” and “Taken,” but also interweave themes from iconic rite-of-passage 8-‘s films such as “E.T.” and “The Karate Kid.” In short, he wanted to make an action movie with a soul. “Big Game” reunites Helander with his “Rare Exports” producer Petri Jokiranta who explained that, after their previous breakout success, they were looking to do something bigger, but with the same dark Finnish sense of humour. ““Big Game” is an action adventure story and I’m delighted to be taking this genre on as it has always been very close to my heart, as action-packed adventure stores contain the elements that I believe make movies that are worth watching,” noted Helander. Prepare for a thrilling chase when “Big Game” when it opens May 6 in theatres nationwide from Pioneer Films.